It is Friday afternoon just before our Down on the Farm challenge closes and I just received an email entry from our friend Dawn Rogers. I took inspiration from a Michelle Zindorf tutorial for this (Rooster Crows – Tutorial #563) and adapted it to the materials I had. 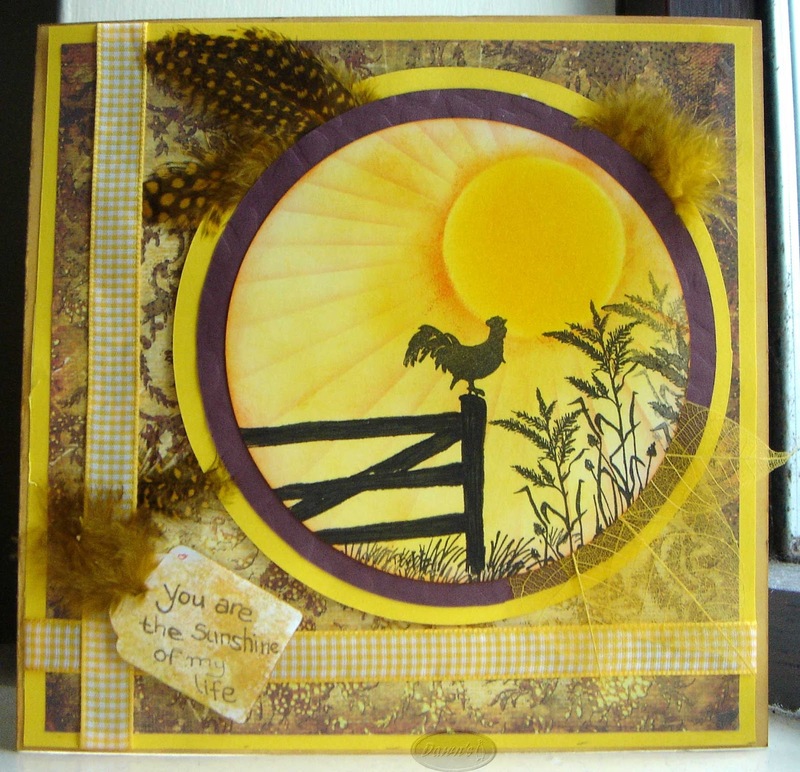 The rooster stamp is from Clarity; the grasses are Lavinia and Art Impressions; and the fence is from Lindsay Mason (this wasn't a silhouette stamp, so I had to colour it in to make it fit the scene). I always enjoy having a go at your Challenges, and also browsing through the many entries and design team offerings, and I generally find some inspiration or useful tips. 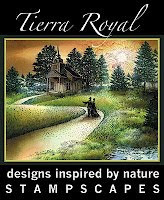 I will be back on Sunday with our winners and next challenge theme. beautiful cards. what do I find the sun amazing!! great coloured. very nice technique and stamps. 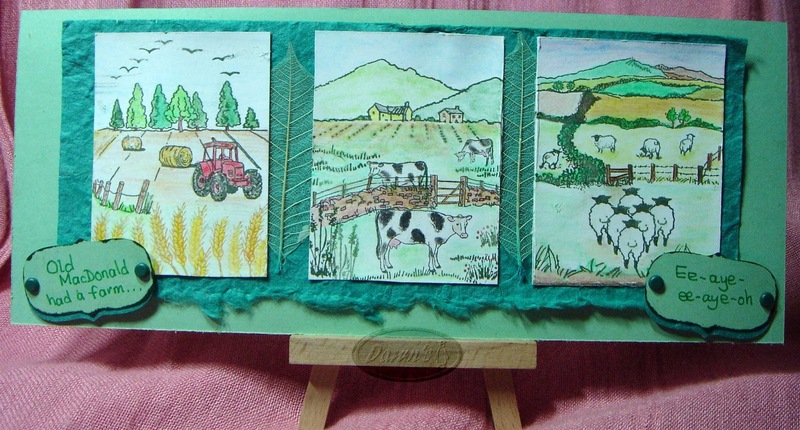 your second entry is een beautiful farm scene. very extended. 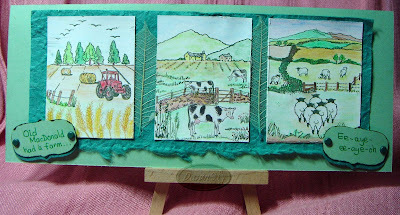 so nice to see what different kind of stamps that you have used to creat this scene. I like your text...haha....the song brings memory's.